Tattoo designs with names can include roses or brightly colored flowers with a name inked in the center or on the side of the flowers. Other tattoos with names feature a butterfly with a person's name tattooed above the butterfly. 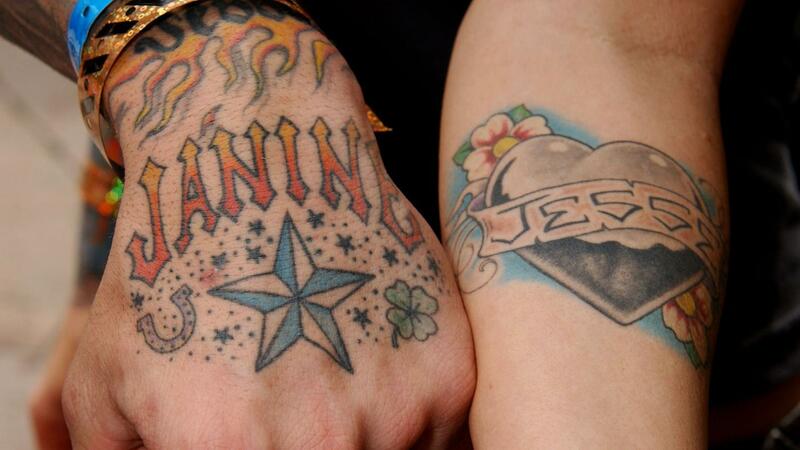 A tattoo of a person's initials in cursive or calligraphy above an inked image of a bracelet can also be name-centered body art. The artistic version of the heart can be part of a name tattoo if a person's name is on a banner in the center of the body art. A tattoo of an actual heart can also be the backdrop for the name. What Aftercare Should You Use for a Foot Tattoo? What Are the Most Popular Tattoo Designs?